Cologne’s Carnival celebration is among the oldest in the world, with some people tracing its origins back to the Bacchanalian rites staged when the city was an outpost of the Roman Empire. In theory, Cologne’s Carnival begins on November 11, but in practice, it starts in earnest shortly after New Year’s Day and reaches its peak beginning the Thursday before Ash Wednesday, when costumed revelers take to the streets. 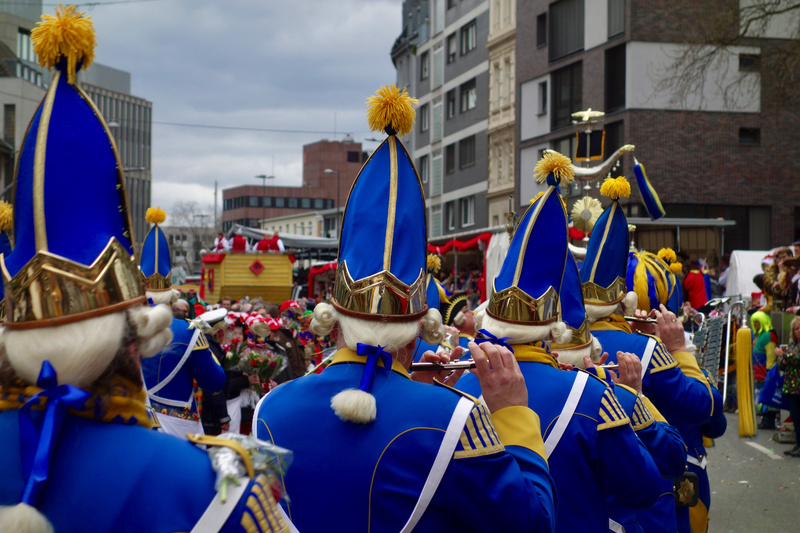 That weekend sees performances and parades by traditional and more avant-garde Carnival clubs, with the largest float parade on what in Germany is often called Rose Monday. Monday float parades across Germany often make international news for satirical depictions of politicians from around the world. Festivities come to a close late on Fat Tuesday itself, with the burning of straw effigies known as “nubbels,” sometimes said to represent the sins committed during Carnival season. 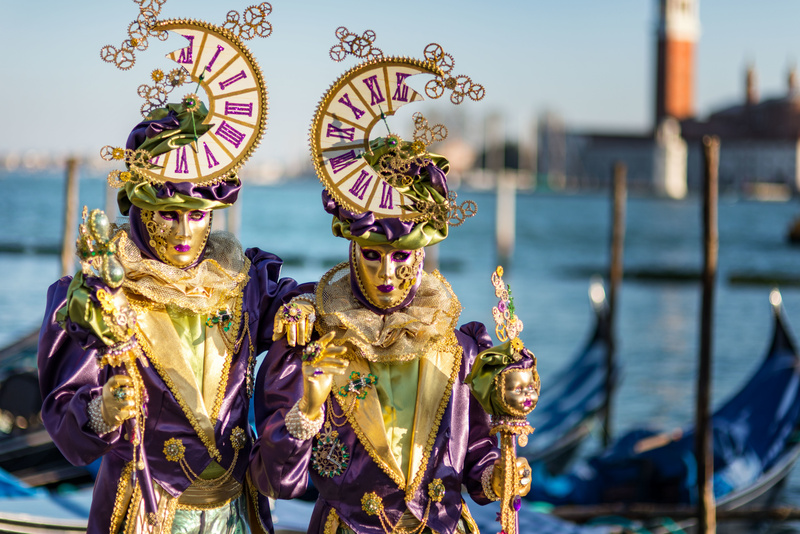 As in New Orleans, Carnival season in Venice inspires both visitors and locals to take to the streets in colorful costumes. Probably the most recognizable elements of Venetian Carnival attire are the celebration’s signature masks. Some craft high-fashion originals, while others stick to classics like the Renaissance theater-inspired “Columbine” half-masks and the spooky, long-beaked “plague doctor” masks modeled after centuries-old sanitary protections. Venetian Carnival is thought to have originated in the 1100s and reached its peak in the 18th century, drawing visitors from across Europe. The celebration was banned after 1797, when the independent city-state was conquered by Napoleon and then soon absorbed into the Austrian Empire. Efforts to revive Carnival in the 1960s led to official recognition of the celebration by the Venetian city government starting in 1979, and today, the celebration again attracts droves of visitors from around the world. In Chicago, the day before Ash Wednesday isn’t known as Mardi Gras. 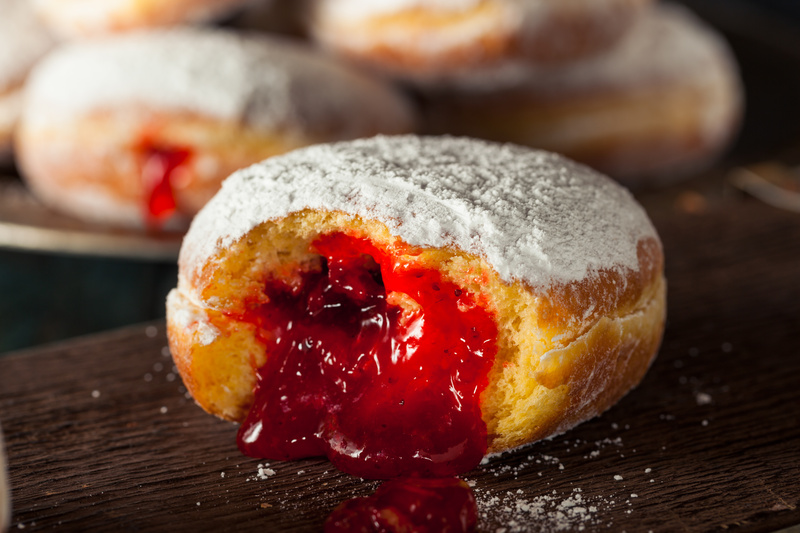 Instead, it’s Paczki Day, named for the signature style of Polish donuts (pronounced, roughly, poonch-key) that have become popular with Chicagoans from all backgrounds and religions. Stuffed with fruit preserves or other sweet fillings, they’re served by Polish bakeries across the Chicago metro area, the Detroit region, and other areas of the country with large Polish populations. For the brave, paczki-eating contests aren’t unheard of. The pastries are traditionally made with a splash of Polish spirits, and some bars in paczki-friendly areas also serve their own food and offer drink specials for those who want a more potable Carnival feast. 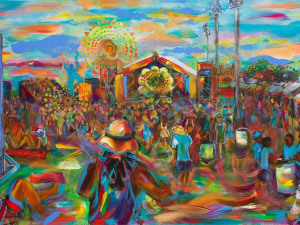 You don’t have to go too far from New Orleans to see another unique take on Carnival. Cajun Country has its own set of ancient Mardi Gras customs. 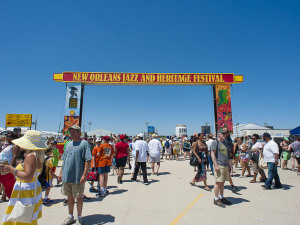 Celebrants have been known to take to the streets in costume early on Fat Tuesday, traveling from house to house on foot and horseback to collect ingredients for a Mardi Gras gumbo. 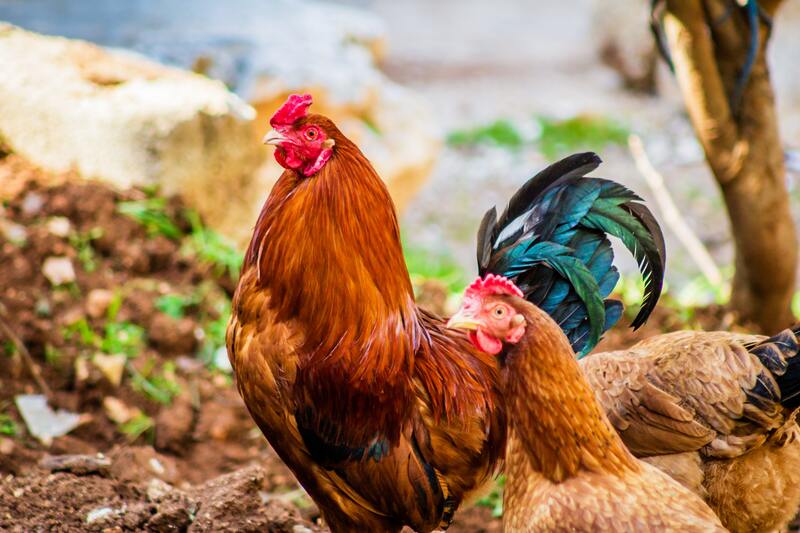 Drunken chases after live chickens are probably the most famous Cajun Mardi Gras scene, but different towns observe slight variations of the custom, which has recently been popularized by national media figures, including the late Anthony Bourdain. Among the largest and most famous Carnival celebrations in the world is the one held annually in Rio de Janeiro. 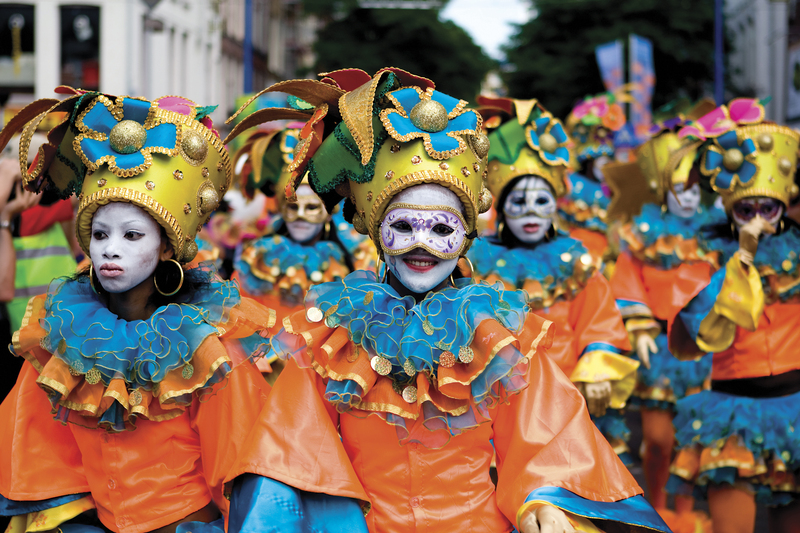 Like New Orleans's Mardi Gras, Brazil's Carnival dates back to colonial times, and today’s celebrations include parties, parades, and street festivals held across the city in the days preceding the start of Lent. The season’s signature events include float and dance parades held by the city’s major samba schools—groups of hundreds or thousands of revelers expert in the African-influenced Brazilian dance technique. They converge before massive crowds of cheering spectators from around the world at an arena known as the Sambadrome. Similar to New Orleans, Carnival in Trinidad and Tobago is believed to trace its origins back to French settlers, invited to the then-Spanish Caribbean colony around the time of the French Revolution. Enslaved Africans developed their own parallel celebrations, which came to be known as the canboulay, a name coming from a French term for burning sugar cane. That celebration continued after the British Empire took control of the islands in the late 1700s and after emancipation in the 1830s, despite British efforts to limit the festival, and often included elements satirizing colonial officials. A deadly conflict between revelers and colonial police in 1881, known as the Canboulay Riots, led to bans on traditional percussion instruments. That, in turn, inspired improvised instruments that evolved into Trinidad’s now-famous steelpan drums. Today, music and dance remain a signature part of Trinidad’s Carnival, with new songs written for the event every year, many in the fast-paced style known as soca and influenced by the traditions of the islands’ large populations of African and South Asian descent. Newfoundland is one of many formerly British colonies where the day before Lent is known as Shrove Tuesday. That comes from an old-fashioned English word for the Christian sacrament of confession, which was encouraged in the days prior to Lent. 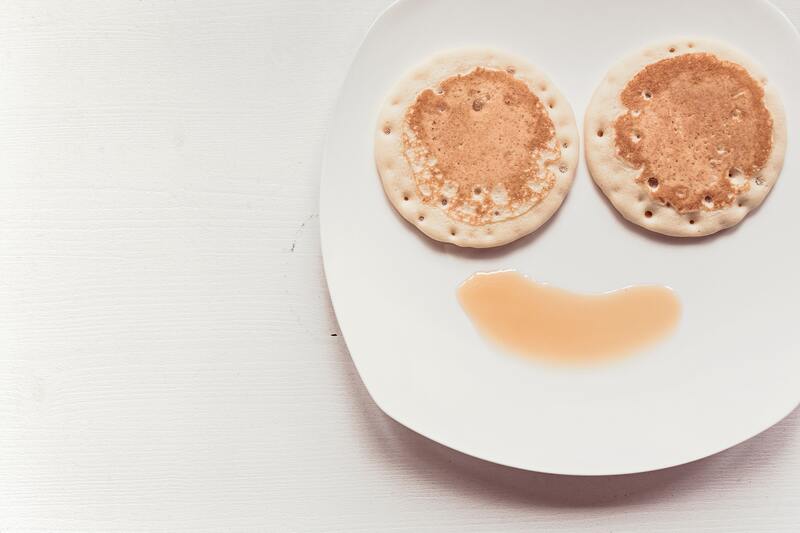 Shrove Tuesday is often celebrated by eating sausage and pancakes for dinner, since these foods use rich ingredients like eggs, butter, and other animal fats traditionally avoided during the Lenten fast. In Newfoundland in particular, pancakes given to children are traditionally prepared in a way that is reminiscent of how baby figurines are hidden in New Orleans king cakes. Eat carefully, because objects representing potential futures, like a coin to represent wealth or a nail to represent a career in the trades, are hidden in the pancakes.